For three tough years, Rome had besieged the City of Carthage. As the battle-hardened Roman General Scipio Africanuswho took the city finally in 146 BC watched it burn in complete destruction, he suddenly broke down and wept. It was a shocking spectacle for his troops to behold. Crying for a defeated enemy was an indulgence unknown in that era. Carthage at the time was the only existential threat to the Roman Empire until the coming of the Vandals several centuries later. Scipio’s emotional reaction to this particular conclusion of a historic, bloody campaign stemmed from a deep philosophical apprehension that all cities, nations, and authorities must, like men, meet their doom. In terms of her progressive affluence and civilizational influence, Carthage shared some kindred features with Lagos. But while General Scipio Africanus was an external invader, Asiwaju Ahmed Bola Tinubu, the godfather of Lagos State could perhaps be seen as an ‘internal invader.’ While Scipio’s mission was a hostile take-over, the Asiwaju’s undertaking somewhat represents an Omoluabi’s benevolent capture – with his eccentric political swag extending through much of the South-West zone. 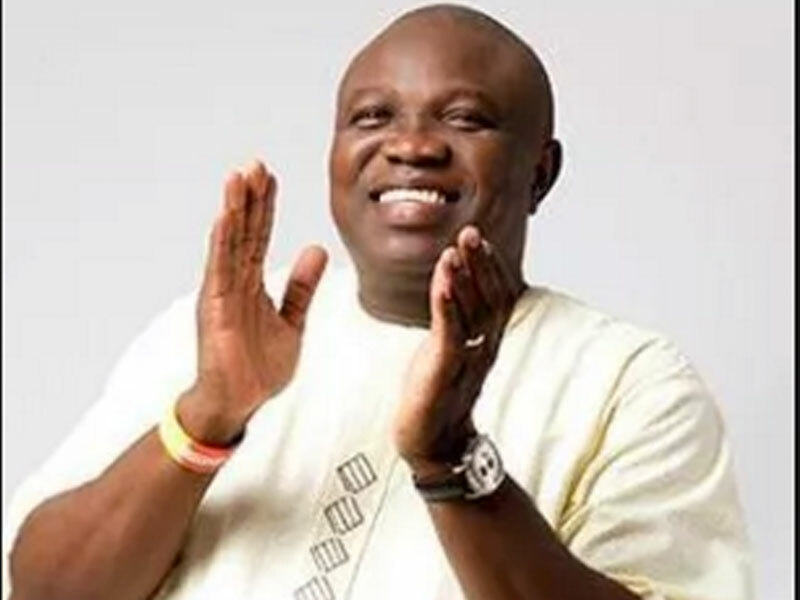 Perhaps, it is only outsiders to the web of intrigues, Mafia-like maze of foot-soldiers, big and small leaders who solely depend on Lagos State resources (without productivity) for survival could discern that the rather untidy short-circuiting of Governor Akinwunmi Ambode’s political excursion has fundamental linkages to a lack of philosophical apprehension of the transience of power. It was this sudden, flashing insight that all cities, nations, and authorities must, like men, meet their doom that overwhelmed General Scipio Africanusand triggered his unsettling emotional breakdown. “For all his contributions to Nigeria’s democratic process, the legacy of Governor Tinubu will be better served if he stops getting involved in every selection process; let contests and processes be free and fair. 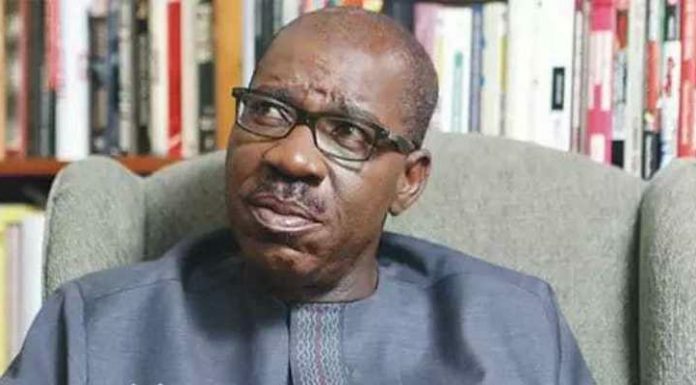 Further according to Ogundamisi, “The Lagos All Progressives Congress, APC, power structure is filled with contradictions, sometimes progressive, sometimes self-serving, mostly operating like a bunch of mafias, highly close-knit. Those who control the party at every level expect absolute loyalty and no questions asked…Hardly would you find a Lagos State civil servant that is not a card-carrying member of the APC. Particularly the Alausa based civil servants, what happens in Alausa always remain in Alausa. It is within this quirky context that Governor Akinwumi Ambode’s truncated stewardship can be fairly assessed. After dispatching the opposition Peoples Democratic Party, PDP’s mettlesome Chief Jimi Agbaje in the keenly contested April 12, 2015 governorship election, Ambode hit the ground running. As governor of Nigeria’s commercial and industrial capital faced with the challenge of satisfying the yearnings of the over 15 million residents of Lagos, it couldn’t be otherwise. Drawing from his rich professional background as an accountant, administrator and public finance management expert and leaning on a vision to make Lagos a clean, secure, more prosperous state with a robust economy built on service, equity and justice, the Epe-born dynamite left few in doubt that he is indeed the man the city needed. One of the major achievements of Governor Akinwunmi Ambode was the massive inner roads (re)construction his government embarked upon at the outset. In his ‘114 Roads’ project, each of the 57 local councils in the state got two good roads was completed. The accounting guru’s philosophy that a well-lit Lagos will reduce crime also saw him light up at least 365 streets across the state. On the security front, just a few months after he came into office, the governor acquired 10 armoured tanks, three helicopters for aerial surveillance and policing, two gun boats, 15 armoured personnel carriers, and dozens of Isuzu trucks. Despite challenges in the area of security, the safety of lives and properties of Lagosians have received – to a large extent – a boost. After several postponements, Governor Ambode began the disbursement of the N25 billion Lagos State Employment Trust Fund, one of the promises he made during his campaign in 2015. The initiative, aimed at artisans and entrepreneurs in the state, saw the disbursement of N6.25 billion annually. A huge chunk of that figure goes to carpenters, tailors, hairdressers, vulcanisers, and other players in the informal sector in the state and has helped create more than 11,000 jobs. On the agricultural front, early in his tenure, Ambode launched the game-changing Lagos-Kebbi (LAKE Rice) project. 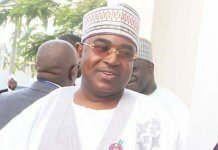 Thousands of residents trooped out to various centres across the three senatorial districts in the state to buy the commodity which sold for N12,000 (50kg bag); N6,000 (25kg); and N2,500 (10kg). It was a much needed respite for a population that had been reeling under the impact of economic recession. The governor also dealt expeditiously with backlog payment of N11billion as arrears to retirees of Lagos State Government. There are much more. Against unproven allegations of being impetuous and adversarial, the emergence of Chief Ambode as Lagos State chief executive evokes memories of other progressive eras of the state. Clearly, Ambode is not a saint. But the parameters for electing the governor of a Nigerian state do not specify sainthood as a key requirement. His choice, simply acknowledges the capacity of focused individuals to change their society for the better. For decades, both as an accountant, administrator and public finance management expert, he has provided clear, pragmatic leadership. Going forward, just mid last week, Chief Sanwo-Olu, Ambode’s successor-in-waiting joined the governor at the Lagos Governor’s Advisory Council (GAC) meeting. GAC is Lagos state’s highest advisory political organ under the leadership of Tinubu. The membership of the council, made up of the governor and leaders of the party across the three senatorial districts of the state, include, Dr. Olorunfemi Bashorun; Senator Anthony Adefuye, Prof. Tunde Samuel, Chief Adeyemi Ikuforiji, Alhaji Tajudeen Olusi and Cardinal James Odumbaku. The meeting, which held at Marina, Lagos on Tuesday, also featured the presence of Femi Hamzat. This boorish ritual represented part of the valedictory motions of Ambode ahead of his standing down, as decreed by the Lion of Bourdilon. In the coming months, more such moves are expected from the governor under the watchful eyes of the dug-in political establishment of the state. It’s worth recalling that a month ago the Asiwaju had proclaimed with some mystery that though Governor Ambode has done well in office, he has not been a ‘good party man’. For this reason, the godfather said the party decided to withdraw support for the governor who wished to go for a second term. According to Tinubu, the decision to abandon Ambode for Babajide Sanwo-Olu was beyond him. For good measure, he explained kindly he was only doing the wishes of the party, which had entrusted him with its leadership. In all, a calm philosophical Ambode has taken all these unsettling dissonance in his stride as he focuses on the next phase of his life. Such is the measure of the man. The emerging consensus is that like the Phoenix, he will rise again.